Looking for cool dog names for a girl dog? You must be looking for cool girl dog names because you are about to get a dog! That is very exciting, congratulations! Are you getting a puppy or an older dog? Either way, your new dog deserves a lovely name! Because finding the perfect dog name can be a bit of a struggle for many people, we have developed tips and tricks to help! 123Tinki.com has a database of over 38.000 dog names, ready for you to discover. In this database you can literally find anything you need. We have names for categories like funny dog names, Disney dog names, Native American dog names, dog names starting with B and so much more. Keep sniffing! 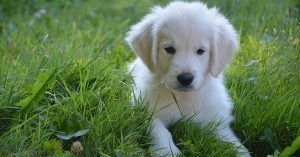 You have of course come to this page to find inspiration for cool female dog names, which is perfect! Because we can actually help you with that. Here is a cool female dog names list from us! These are names which we think are cool, hopefully you can agree! As we mentioned, we have a very handy tool that can really help you find the names that might suit your dog. Since our database is so big, we understand that you do not feel like going through all those names yourself. That is why we created a tool to help you sort through these names. It works very easy! The generator lets you into our database and once in there you will find a panel with filters on the side. These filters can be switched on and off to whatever you prefer! Eventually you want to pick one name. First you want to get inspired. You can do this by maintaining a list, write down every cool and fun name you see. This could be tough female dog names but also other names. Everything you like, put them on your list! Eventually you can use our tips to narrow down your list and choose the final, perfect one. Check out our other categories as well! You can look at funny dog names, dog names starting with B or something like movie inspired dog names. Good luck! To help you choose the right name we have some tips for you. The following tips will be explained further on this page. With these tips you will definitely be able to select that one and only name from all the tough female dog names you have found so far! Keep the name simple and clear, it is a command after all! Do not rush your decision, it is completely okay to take your time. A dog’s name should be about one or two syllables long. Pick a name that you absolutely love and are able to pronounce clearly in every situation. As you might notice already, all these tips are connected to each other. It comes down to picking a name that you love, sounds fun but is also understandable for your dog. Our first tip about keeping the name simple and clear is really important. Every command we try to teach our dogs are short and clear terms. We do not tell ‘Bobby, to sit down please sweetheart?’. No, we tell Bobby to sit. Calling the name to get your dog’s attention and then giving a command after. This is what works best. 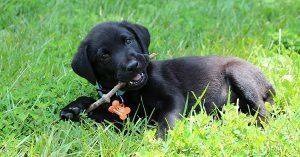 Do not confuse your puppy with long commands that are said different each time. Stick to one simple and keep things clear. Deciding on a name for your dog can be quite hard. You might feel like you have been searching for ages already, but that is never a bad thing. You just have to hang on! If you have maintained a list, which we highly recommend, you will now be able to narrow down the options. This can also be done when your puppy has already moved in with you but we understand that you would rather have a name beforehand. Whatever happens, it is all fine. You decide when you want to, take your time. Another important aspect of your dog’s name is the length. This goes hand in hand with the complexity, keeping it simple. The longer a name is, the harder it will be. You will not only make it harder on yourself, you will also make it hard on your puppy. A long name is easily shortened which will confuse your dog a lot. Stick to a name of about one or two syllables, those are always easy to call out. Finally, make sure you absolutely love the name. Remember that you are the one that has to call the name for the rest of your dog’s life. Pick something that you love now and will also still enjoy in a few years time. This is connected to taking your time, keep looking till you have found that one perfect name. Tough girl dog names or not, it will be there somewhere! Through the years, there have been many dogs enlightening the lives of people. Some dogs have done such memorable things that they became quite famous across the world. The following names are names from brave girl dogs that changed our lives a bit. Let the names inspire you to join your list of coolest female dog names ever! This is a story that is quite famous! Laika was a small stray dog that lived on the streets of Moscow. Sovjet professors picked her up and trained her to go into space! She was trained to stay in confined spaces and live off fluid food. Eventually Laika became the first dog and living animal to orbit the earth! Sadly, Laika was never meant to make it back. The spacecraft she was in was destined to burn up in space. Researchers later discovered that Laika already died 3 hours into the ride, due to stress and heat. We think she was very brave and any dog would deserve to carry this beautiful name! Another brave little dog was the small Yorkshire Terrier Smoky. Smoky was found by a soldier in an abandoned foxhole in the New Guinea jungle, during the war. The soldier sold the small Yorkshire Terrier to another soldier, soldier Wynne. Soldier Wynne and Smoky became good friends and even though Smoky was never considered an official military dog, she did receive several battle stars. She saved Wynne several times from incoming missiles and even survived a typhoon! A very brave little dog if you ask us! Because we know that you are looking for examples to get inspired, here are a few more. The following names are cool tough girl dog names that we really like! Now you might have been reading our website and saw tough dog names for a girl but you thought to yourself; ‘That does not sound very cool to me!’. This can happen, of course! And maybe you have seen cute puppy names that sounded absolutely cool to you! This is something that you decide for yourself, remember that. What we classified as funny or tough can be boring to you. This is why it is good to check out different and opposite categories, to make sure you really get inspired. Then you can make an honest choice for yourself. Maybe you have been reading this all and still do not really feel like you have that one and only name in your list. You might have looked into tough sounding female dog names or funny girl dog names or even modern dog names but that one name is not there yet. If that is the case, do not stress! Try something yourself! Mix it up! You can grab a first syllable from one name and the last from another and try matching them. Maybe you are able to create a complete new name! Which would be incredibly cool.